And then there was Florence…. Wowww, I wasn’t really expecting Florence to be as amazing as it truly is – it’s awesome. 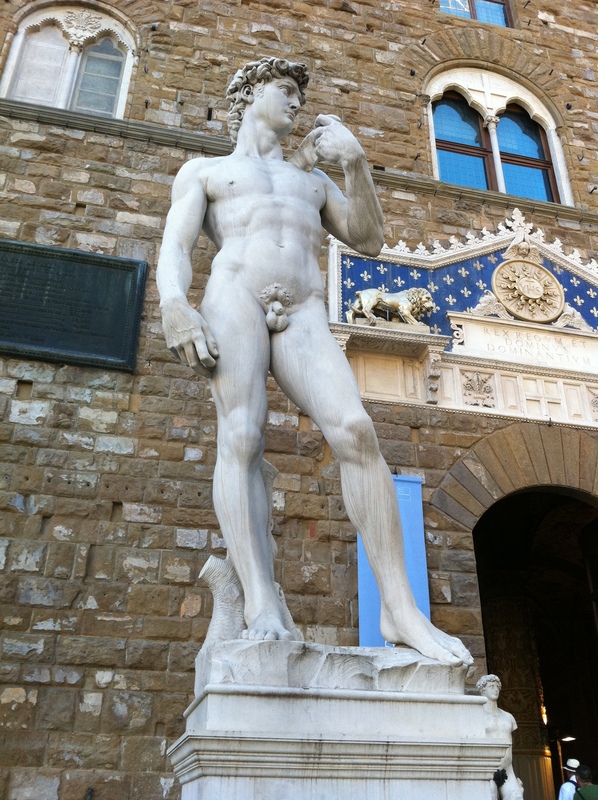 I couldn’t take a picture of Michelangelo’s actual David (if you do I noticed that they shout at you quite loudly at the Academy of Fine Arts) but even this copy at the Piazza Della Signoria is gorgeous. Given all the exposure and familiarity of it I expected to like it enough, sure – but I was genuinely really moved by it – it’s sublime. Its’ colossal 17′ height tends to add something too… And to think he was only 26 when given the commission – Now over 500 years old, it still feels contemporary to me. 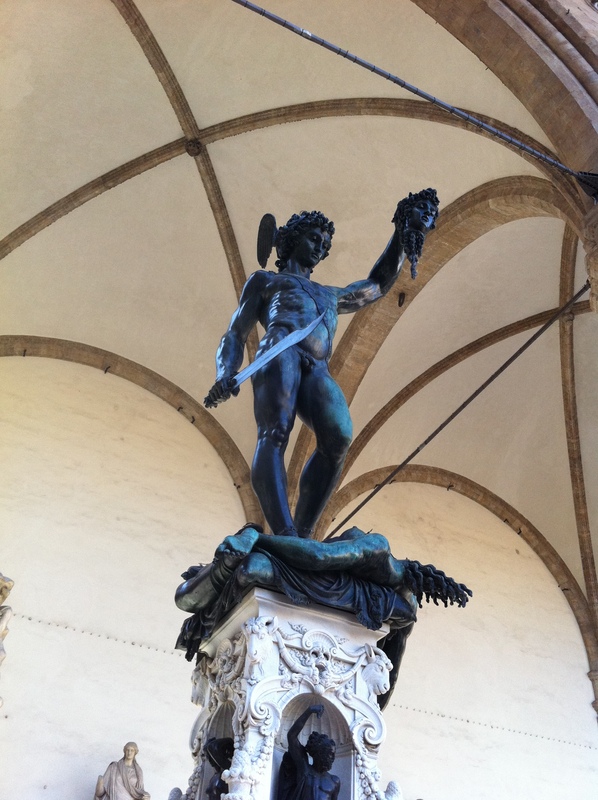 Cellini’s Perseus with the Head of Medusa is also pretty cool…. 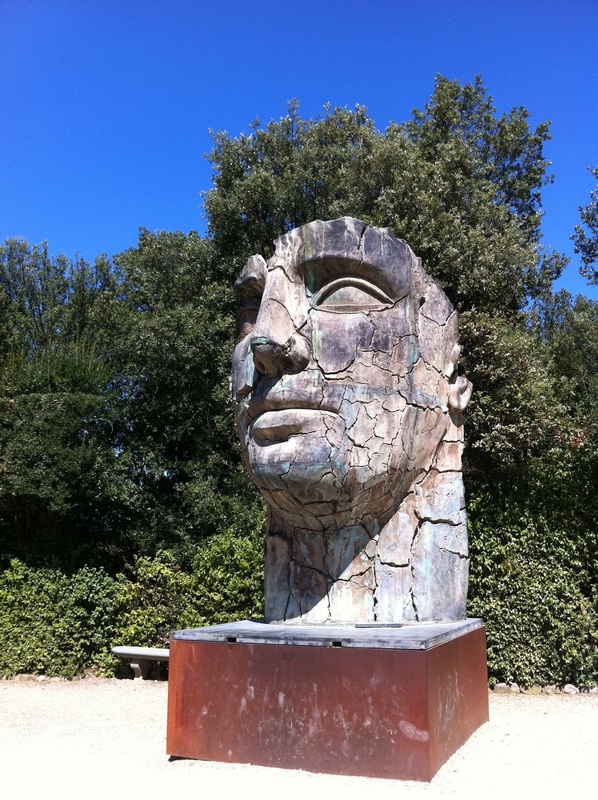 We also found some more contemporary works – these at the Boboli Gardens . My anatomy tutor from last term, Fabia Claris, made sure that La Specola was on our itinerary. 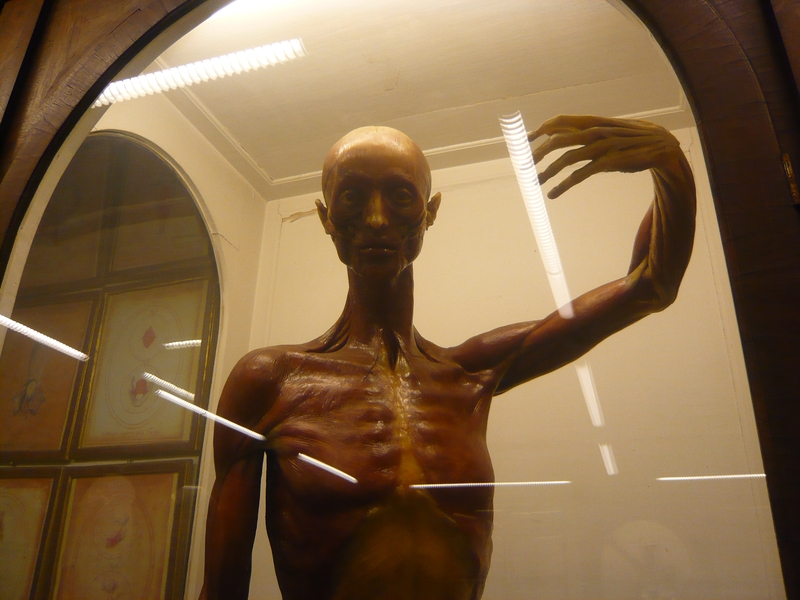 Quite right too, the natural history part was ace for the kids and the anatomical waxes are something else. Done in the 17C they are quite extraordinary and really useful to see from a sculptural point of view (if not a little spooky). 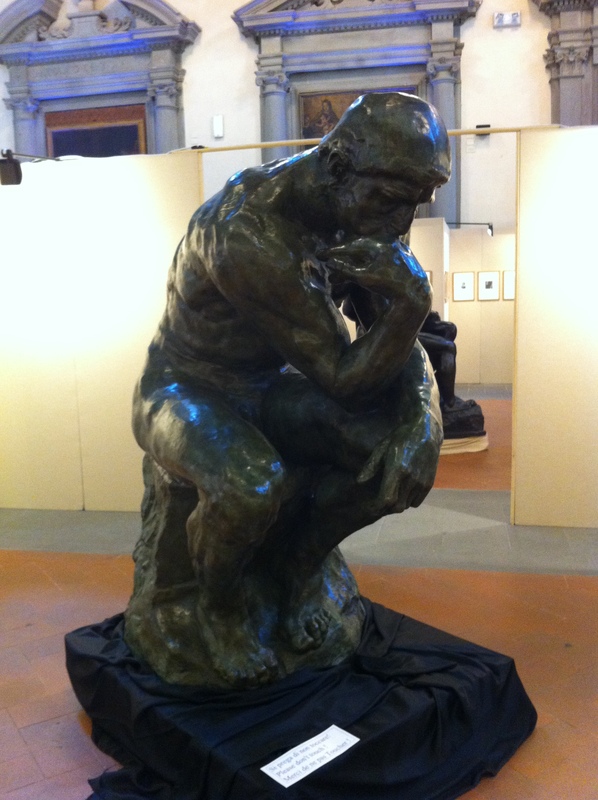 Funnily enough, we also happened upon a Rodin exhibition (to 28 Sep at Piazza Santo Stefano). Bearing in mind that he’s my own personal god of sculpture – I for once was a little disappointed. Despite many of his great works being there, I think that perhaps the siting of them and the context jarred somewhat – detracting from what could have been. Nevertheless it was still great to get a fix of Rodin in too. Rodin himself was also very inspired by Florence saying that ‘Michelangelo revealed me to myself’ – I know what he means …..! This entry was posted in art exhibition, figurative sculpture, gary scott blog, sculpture blog, Uncategorized and tagged art exhibition, figurative sculpture, gary scott, gary scott sculptor, gary scott sculpture, sculpture exhibition. Bookmark the permalink. 1 Response to And then there was Florence…. 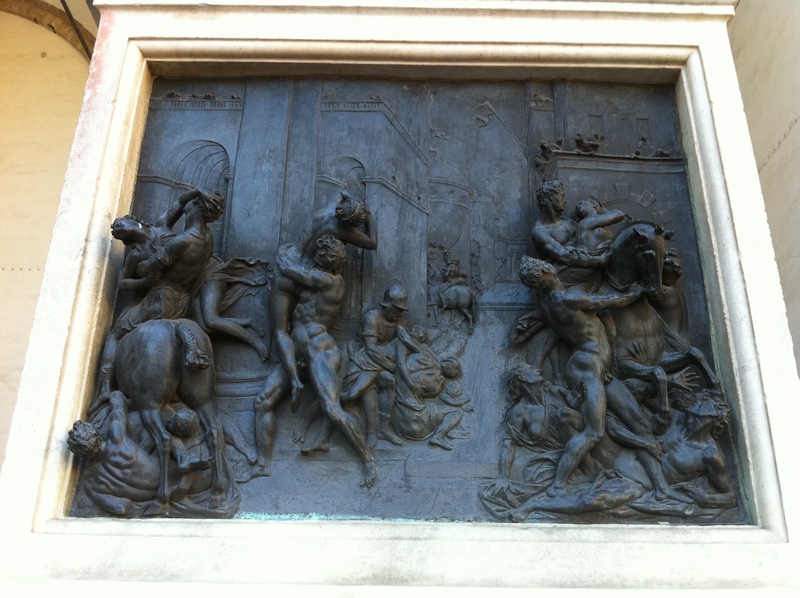 Thanks for the post – brought back very happy memories of Florence. I know what you mean about the David – I was really moved by it too. It was the quality of life about it that surprised me. Some stone sculptures have a heaviness and solidity about them but the David is imbued with life, grace and lightness, which I wasn’t expecting.This sounds ridiculous, but if he’d turned and spoken to me I almost wouldn’t have been surprised. A must-see for anyone visiting Florence.